Home » Latest News » What’s the difference between budget and premium tyres? Poor tread or rib can result in slower breaking and even higher fuel costs. Cheaper tyres are Prone to excessive tread wear, which could end up costing more in the long run. Cheaper manufactured tyres can mean grooves cause issues with tread wear and noise that can affect performance. Vital to the drive and performance, could be more susceptible to splitting due to lower quality materials used to reduce the cost of manufacturing. Budget tyres may not have these as they are optional, however they do help support tyres driven at higher speeds. 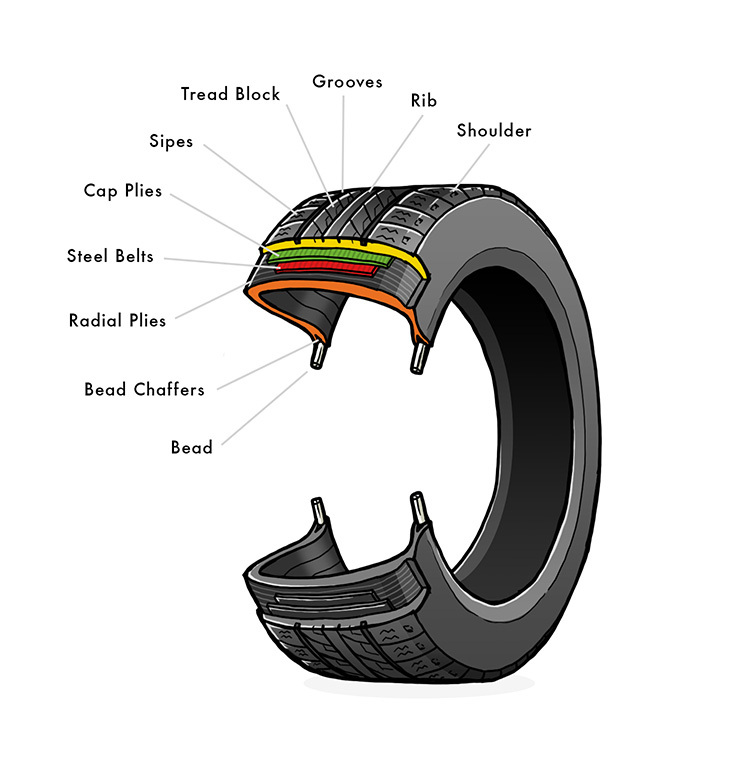 The shoulder is the thickest part of the tyre and offers protections to the sidewall as well as tyre tread. Cheaper tyres can be more susceptible to wear and tear but this is due to general driving conditions and care for the tyres. Quality tyres have specific patterns that reduce rolling & ensure stability. A quality rib provides a better drive and maximises the performance of the tyre. Fundamental part of deciding a tyres quality as it improves braking performance. Extra layer or two of polyester fabric often found on quality tyres designed for being driven at top speeds. Steel cords sandwiched between 2x layers of rubber to strengthen the tyre as well as being dent resistant and flexible. Steel is known to provide better performance in terms of handling, and response. Layers of different fabric often polyester cord. As they strengthen the tyre the, the more plies are included depending on the use for the tyre e.g truck / plane. Often seen as one of crucial parts of the tyre, the bead is a high strength cable made of steel with a rubber coating that has contact with the wheel rim. Sipes offer the benefit of added traction and because of this are often found in winter tyres. Due to their added performance, the top brands manufacture tyres with sipes included, however they are seen on a range of different tyres.